Nowadays, eCommerce become a wide known term, but it wasn’t so a few years ago. The reason of it appears to be a quick rise of mobile device usage and overall technology evolution. Interesting, that all these factors influence each other and progress as one system. As a result, the rhythm of eCommerce Development is much faster than five, ten, or twenty years ago. But, have they led to something that can be measured? Of course, and in this article you will find the review of the latest eCommerce Trends in 2016. In 2016, around 60% of online shoppers use their smartphones to purchase goods. A year ago, this parameter was lower than 50% (48%) and two years before that only 12%. Just imagine that mobile purchases have grown 5 times in less than 3 years. That is shocking. From the other hand, it was predicted much earlier, when Steve Jobs presented his new invention. So, how will mobile shopping grow in 2017? In 2020? Over a half of the orders in the listed markets are placed using a mobile app, phone or tablet. Customers love to use it instead of desktop computers. So, if you plan to start or are already running an eCommerce business, keep mobile shopping in mind. It can generate a notable part of your income in case you take the best of it. 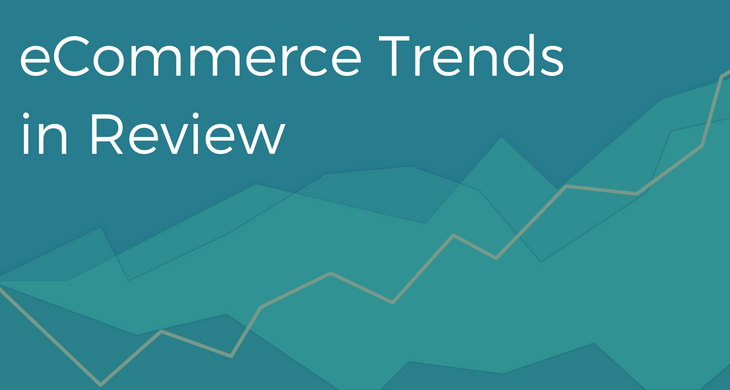 Also, you will need to know the other eCommerce Trends that are pleasantly combined in an infographic by Peerbits. Hope this data will help you to succeed during the next years. But if you need a hand to develop a mobile responsive website, contact Orange35 Support Team.